Perfect cold or hot, for breakfast lunch or dinner...this is a Utica staple. Every event, party, luncheon, and get together features Tomato Pie in Utica. 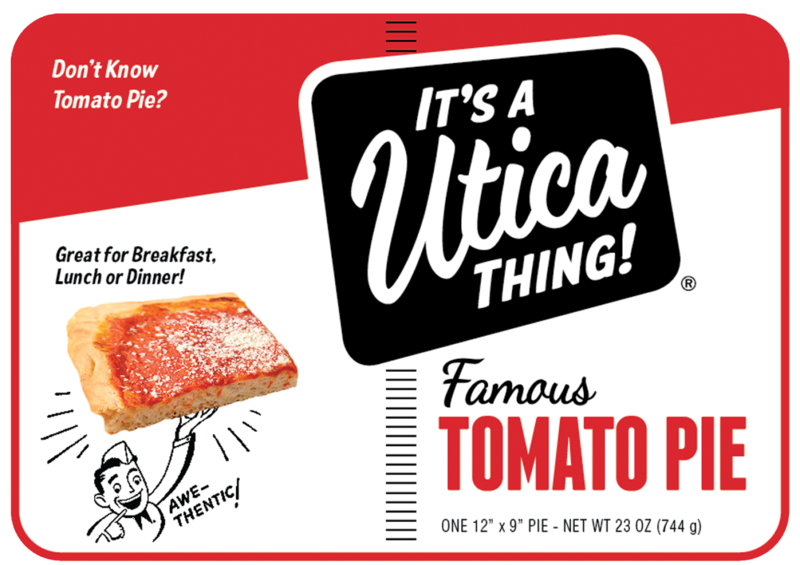 This is the classic authentic Utica Tomato Pie and it's available in better markets and grocery stores throughout the northeast. Pop it in the oven for about 6 minutes, and when it comes out it will be just like you made a visit to Utica. It's absolutely delicious and Awe-Thentic!